Use the start of the New Year to get your display in line. You’ve probably been reading all kinds of “start the New Year off right” blogs. It can be overwhelming. Hopefully, this one gives you a tangible strategy to improve your business this year. By taking a look at your product assortment you give yourself the potential to get the most out of each guest — spend, happiness, loyalty, and beyond. IAAPA’s 2017–18 FEC Benchmark Study, showed the average overall spend per person (per capita) at an FEC is $21.95 — with only $5.63/person spent on games. The average number of visits per year per person is only at 2.4. Simple math tells you average annual revenue per guest is only $52.68, which leaves lots of room for improvement in 2019. How do you increase guest loyalty and spend per visit? We believe it ultimately comes down to helping each customer feel like he or she is getting a fair return on investment. 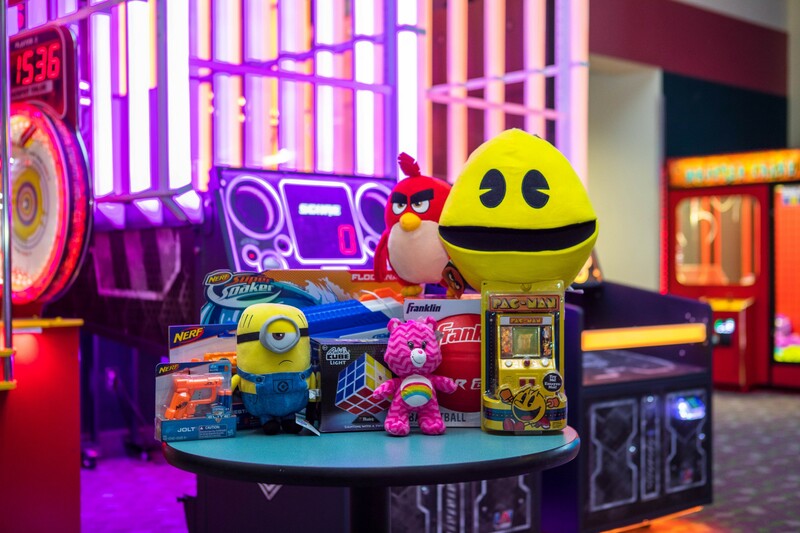 If your prize assortment is doing its job, it should be motivating guests to spend more money in the game room and leave with smiles on their faces, likely to return again. Thus, giving you the potential to hit both “more visits per year” and “more spend per guest” metrics. Giving your guests prize options they feel are worth their game room investment is how you seal the deal. We know not everyone can walk away with a new bike or iPad, but if someone walks out your doors with the perception they got their money’s worth — you’ve won! If product is the key to a good guest experience, where do you start? It’s tempting to fall into the “what’s new, what’s trending” spiral when placing your weekly orders. New and trending items are important, but they play a specific role in your redemption area. We’re here to guide you on how to supplement new and trending items with prizes within our core assortment to ensure you have an optimized display. But what do we mean by core and supplemental? These are items that have proven their worth over time! We use two main parameters to vet an item’s success — distribution and velocity. Each item in our core products category hits a minimum performance for distribution and velocity before entering the core, leaving you confident these items will perform well in your center. Distribution is the number out of the 1500+ Redemption Plus customers who have purchased the item within the past 365 days. This metric gives us a good grasp on how popular the item is among our customer base. Velocity is how quickly an item is re-ordered. We calculate it based on revenue from the item then divided by the total number of customers who’ve ordered it in the past 365 days (distribution). This metric tells us whether or not the item is priced where it should be and if it is popular among end users (that’s your guests). For example, let’s Look At Neon Apees. 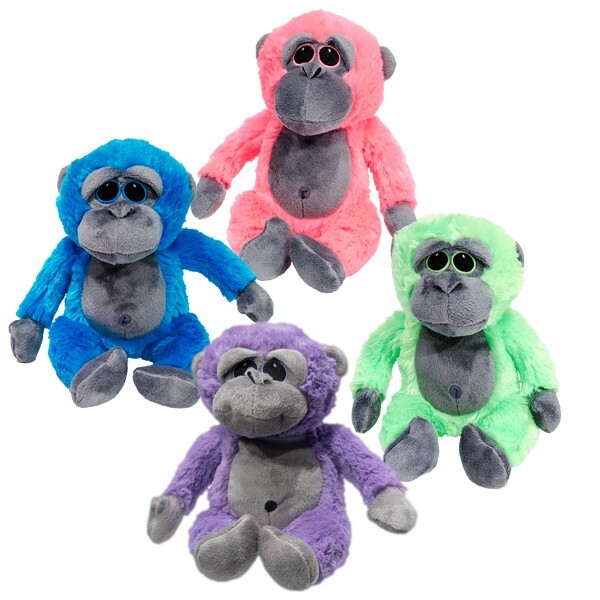 These Soft & Cuddly monkeys index high in both distribution and velocity. Their consistent high ranking in both metrics over a long period of time has allowed Neon Apees to move into what we call the “core” products portion of our line. Continual performance data tracking shows these prizes are a sure bet among your guests and are a must-have for any redemption assortment. We are constantly analyzing each item’s performance to ensure your center is stocked with the best. If Neon Apees’ metrics begin to slip they would enter exit potential. Our item review process demonstrates to our buyers what items we need to cut from our line to allow for more investment in core items we know your redemption program relies on. This strategy helps to keep our items in stock, which decreases variation for your business. What do we mean by supplemental (& flash) items? Supplemental prizes are a combination of new items and flash items brought into our line to challenge the core from getting stale. These items should make up about 20 percent of your SKUs and should match your chosen core item themes. “Flash” items are seasonal prizes, movie-oriented licensed items, and other quick-moving trendy things. It’s doubtful these items move into our core assortment, but they are still valuable to your customers. Flash items allow you to capitalize on current consumer trends, giving your guests the chance to redeem prizes they would buy elsewhere — like a fidget spinner. Our core and supplemental items working together are what makes up your prize assortment. Each category plays a specific role in incentivizing your guests. The core is proven to be popular among players and supplemental items you use to change things up a bit will delight your regular repeat customers by adding new selections into your assortment. Now, how does this all come together in your redemption area? Bring balance to your assortment by incorporating 80% core items and 20% supplemental. This 8-square-foot Soft & Cuddly Storyboard is made up of items in our core assortment as well as supplemental prizes. As you can see, the Neon Apees and Sequin Chameleon are at the bottom. Then we rounded out the square footage with supplemental licensed options. The licensed prize slots allow you to rotate new product into your display without a big investment. As the higher ticket priced items in this theme, the Mario Villains and Pokemon Characters will motivate your guests to spend more money in the game room in order to achieve that ticket value range (more spend per guest metric). For guests who aren’t able to earn enough, the remaining similar prizes in the Soft & Cuddly theme will make good redemption options for them. Starting 2019 with a laundry list of updates to make to your business and life is overwhelming. Try starting with just one thing, like going through your product assortment. If looking at your entire assortment at once is too daunting, analyze just one category at a time with the 80/20 rule in mind. We’re always here if you need help! LEARN ABOUT OUR SERVICE PACKAGES HERE! 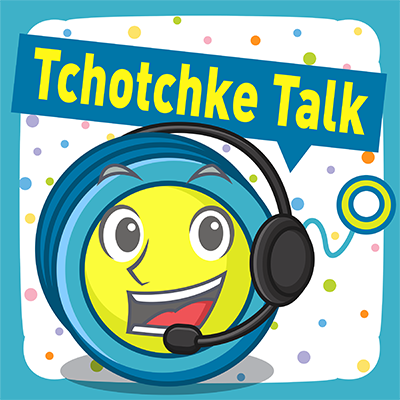 For more topics like this, listen to our podcast — Tchotchke Talk — where we talk nothing about tchotchkes and all about business strategies and innovations within the family and bowling entertainment industry. Click here to listen or find it on all major podcast apps. 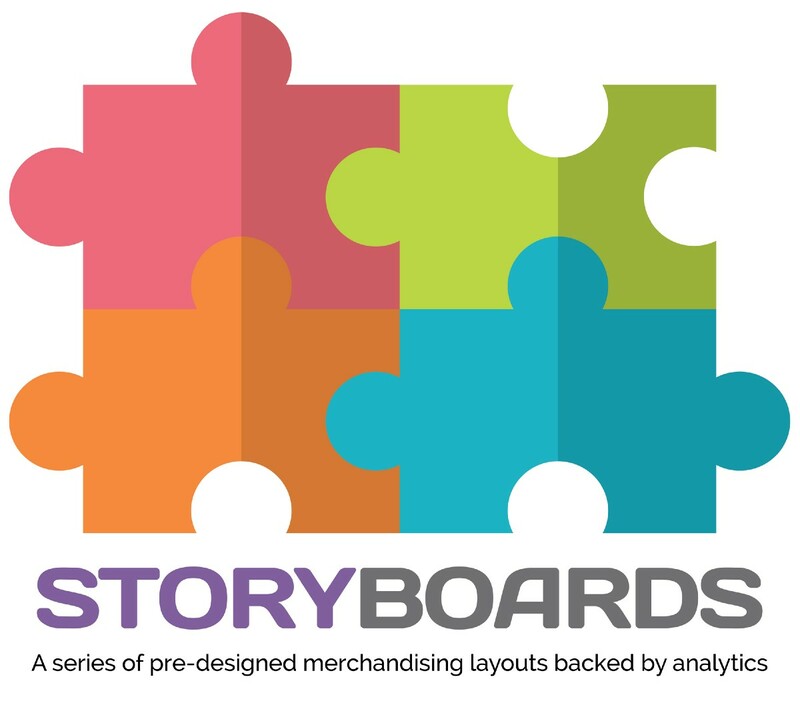 Our proprietary Storyboards are a series of pre-designed merchandising layouts, backed by analytics. They’re created with a specific theme or category in mind to engage your guests and make finding the perfect prize a piece of cake.